The National Geographic Style Manual is a guide to preferred National Geographic style and usage. It is not meant to be definitive; use it along with other sources and your own editorial judgment. Let us hear from you if you need an opinion, want to contribute, or disagree with our recommendations. 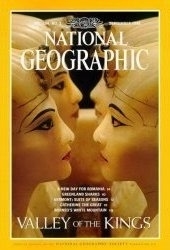 This manual was prepared by the Style Committee with the assistance of many other National Geographic staff.